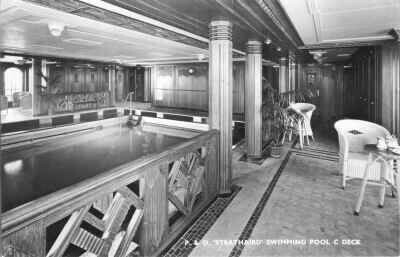 Strathaird - meherbabatravels jimdo page! 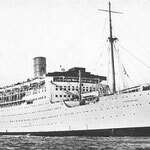 Shortly after Meher Baba concluded his 9th trip to the West, arriving back to India 23rd November 1936 on the "SS Viceroy of India" several of the Westerners had also headed for Bombay, India. 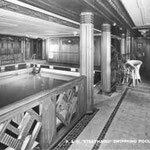 The first lot travelled on the "SS Elysia ". They arrived on the 8th December. 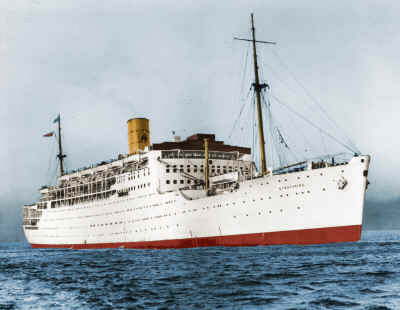 The second lot travelled on the "SS Conte Verde, arriving at Bombay on the 14th December. 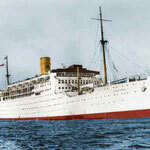 The third lot travelled on the "P&O Rawalpindi" , arriving at Bombay on the 24th December. 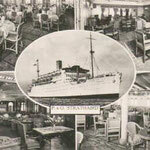 THE LAST to come to India, Ruano Bogislav arrived in Bombay on January 2nd, via Colombo aboard the Strathaird. She was met by Chanji, who brought her to Nasik the same day. 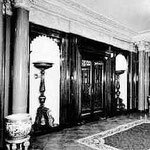 There were now fifteen Westerners staying together in the ashram. In the first place, to get a person like Mohammed a passport was in itself amazing, since it could not be procured without his signature. How would the authorities issue a passport to a man whom ordinary people would consider mad? 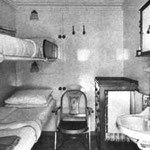 But Baba gave Adi Sr. and Sarosh an idea, and they succeeded in getting the mast a passport on the basis that he was a mental patient and was going to France for treatment. 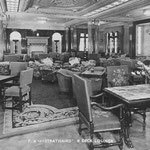 The day they departed, Mohammed's mood was extremely foul. 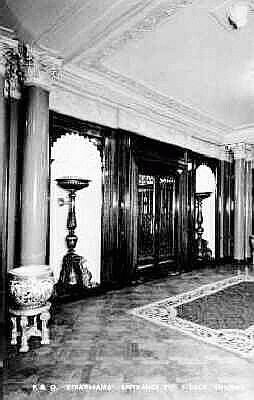 But Adi and Baidul managed to board the Strathaird with the resistant mast and sailed from Bombay for France on September 25th, 1937. 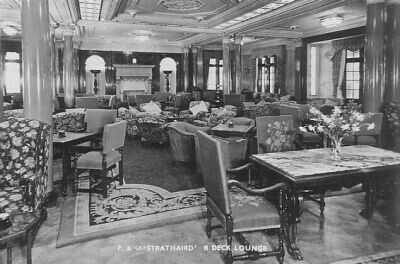 RMS, later SS, Strathaird was the second of the Peninsular and Oriental Steam Navigation Company Strath class ocean liners. 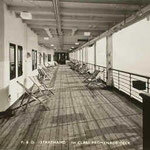 She was built at Vickers-Armstrong, Barrow-in-Furness, then in Lancashire, and launched on 18 July 1931. 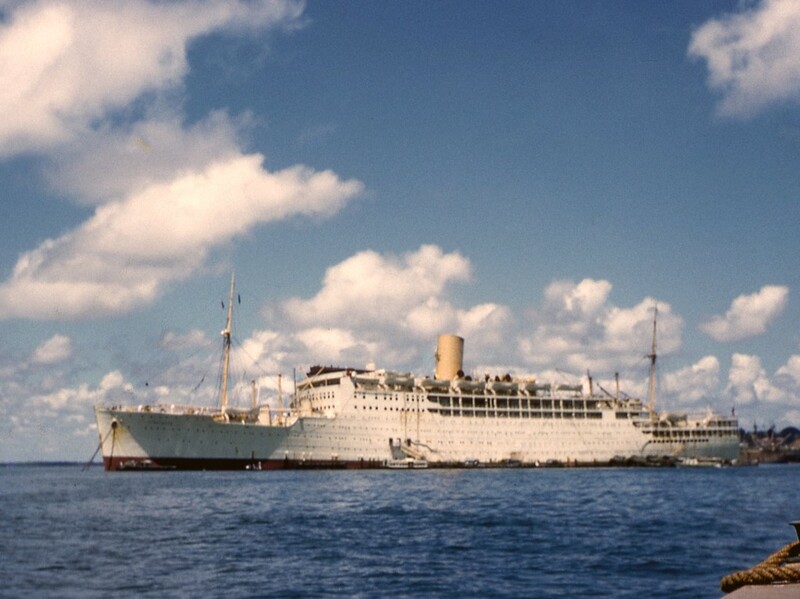 She remained in service for less than 30 years, being scrapped in 1961. 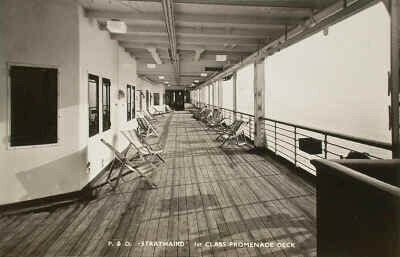 Strathaird was built just after the Strathnaver and the two ships were the first P&O liners to be painted with white hulls and yellow funnels, and nicknamed The White Sisters. 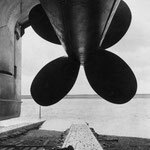 There were three funnels, though the first and third were dummies and were removed in the refit in 1947 that followed her service in the Second World War. 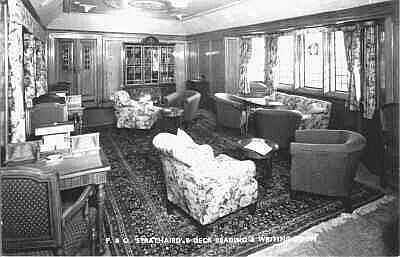 Strathaird's maiden voyage was on the mail run from Tilbury to Sydney through the Suez Canal and this remained her route until the war. 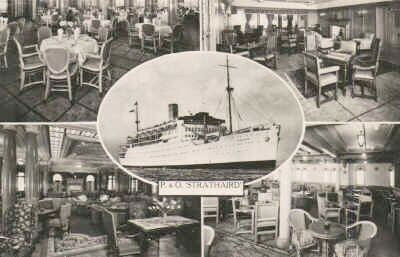 In December 1932, Strathaird was the first P&O ship to operate a cruise, when she took a five-day excursion from Sydney to Norfolk Island; later in the 1930s she was also used on occasion for cruises from UK ports. 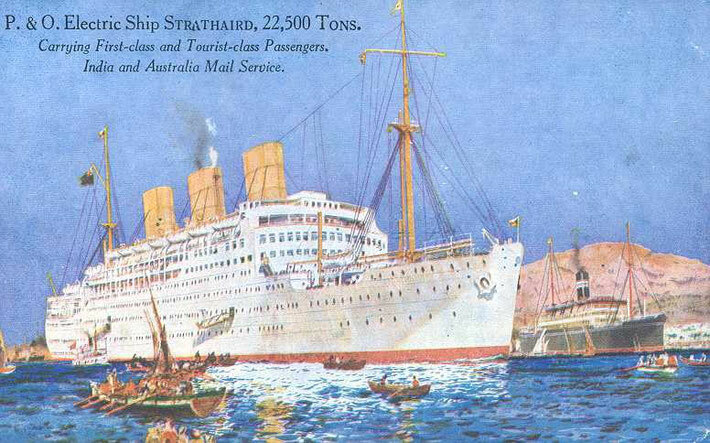 Two further Strath class ships, slightly larger and with only one funnel, the Strathmore and the Stratheden, joined Strathaird and Strathnaver on the Sydney run from the mid 1930s. 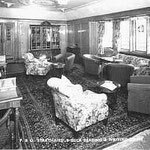 A fifth ship, the Strathallan, was completed in 1938, requisitioned as a troopship only a year later, and sunk in the Mediterranean in 1942 taking troops to the landings in North Africa, though with more than 5,000 people on board casualties are thought to have numbered only a dozen or so. 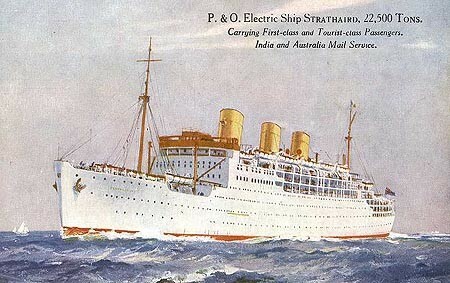 On wartime service from 1939 to the end of 1946, Strathaird was used to take troops from Australasia to the Middle East. 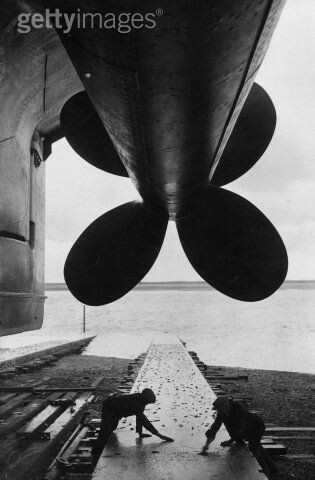 During a refit in Liverpool, she was also used in the evacuation of troops from Brest, in France. 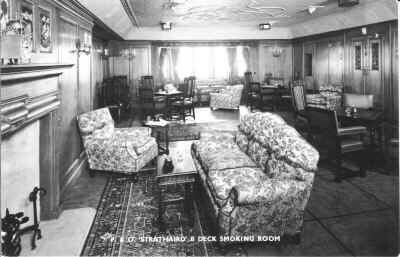 Strathaird was extensively refitted in 1947 for the resumption of her P&O career: the dummy funnels were removed and the numbers of first-class passengers increased, with a drop in the number of tourist-class passengers. 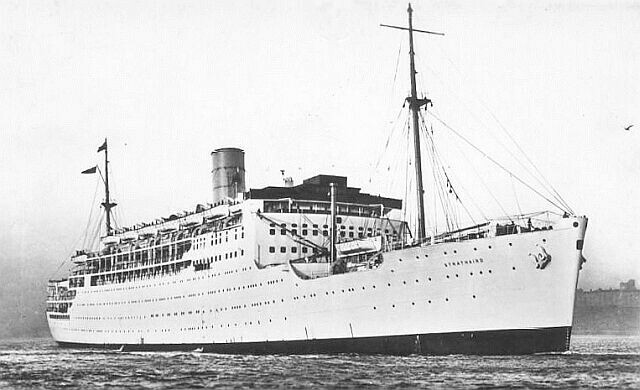 One of her early duties on her return to civilian tasks was to bring the 1948 Australian cricket team, also known as The Invincibles, to England. 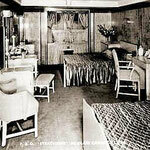 A further refit in the early 1950s accompanied a downgrade in status which saw the ship converted to a single class. 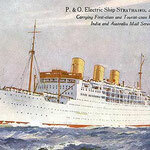 Increasing unreliability of the older pair of Strath liners led P&O to propose a new single ship, the SS Canberra, that would replace both of them. 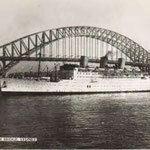 Strathaird's final outward journey from Tilbury was on 28 March 1961 and her return voyage departed from Sydney on 9 May, 1961. 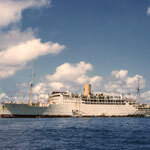 She left Tilbury finally on 17 June 1961 for a breaker's yard in Hong Kong. 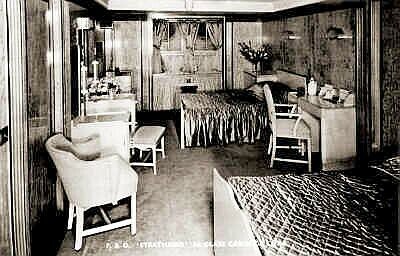 Egon Kisch on board the Strathaird bound for Australia November 1934. 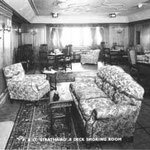 In November 1934 Czechoslovak writer, journalist and opponent of Adolf Hitler's Nazi regime Egon Kisch was confined onboard the Strathaird when the Australian government unsuccessfully attempted to exclude him from the Commonwealth. 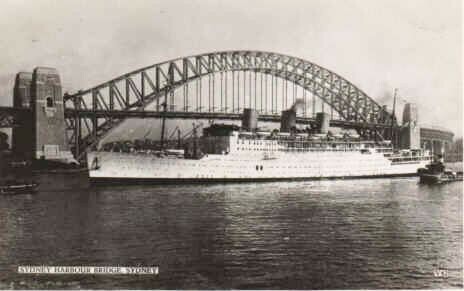 Kisch dramatically defied the exclusion order by leaping from the departing Strathaird on to Melbourne's Station Pier and breaking his right leg. 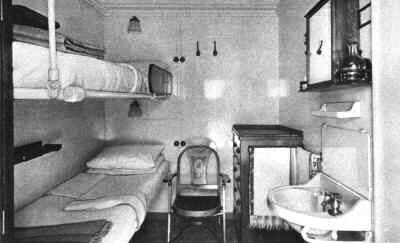 Australian authorities returned him onboard but he was later released and allowed to visit freely by the Australian High Court.